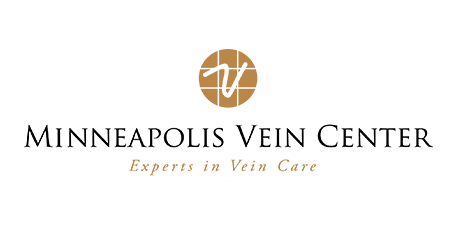 Minneapolis Vein Center is proud to distribute and sell EltaMD™ products. EltaMD™ is founded on the belief that the responsible and innovative application of medical expertise and science will change the way physician-dispensed skin care products treat people. The EltaMD sun care line includes a complete spectrum of sun care products, one for every skin type and unique need. EltaMD skin care products focus on providing safe, effective skin care that includes deep, gentle cleansing and intense moisturization for all skin types, including the most sensitive skin. EltaMD Moisturizer: Superior hydrating for microdermabrasion, laser procedures and photodynamic therapy. Post-treatment for the new Fraxel® or Portrait® treatments and works well as a night-time moisturizer. EltaMD Lotion: Light, daily moisture for the body; formulated to help the skin retain its own natural moisture. EltaMD Facial Cleanser: Gentle, deep cleansing that removes makeup and other impurities and leaves skin feeling soft and smooth. Perfect for use on acne prone and oily skin. EltaMD sunscreens contains up to 9% micronized zinc oxide and maintain a cosmetically elegant texture and feel that goes on smooth and absorbs quickly into the skin, protecting against UVA and the UVB rays. EltaMD UV Facial SPF 30+: Moisturizing sunscreen, ideal for moderate to dry skin and post-procedure skin, one product moisturizes and protects. EltaMD UV Lotion SPF 30+: Light moisturizing body lotion with excellent UV protection. EltaMD UV Daily SPF 40: Light, sheer daily moisturizer with Hyaluronic acid to increase skin smoothness, softness and decrease fine lines and wrinkles. NEW! EltaMD UV Physical SPF 41: Chemical free – natural mineral UV protection, oil-free, paraben-free and fragrance-free. EltaMD UV Shield SPF 45: Oil-free UV protection, great for oily skin patients. EltaMD UV Clear SPF 46: Oil-free with Niacinamide to calm and protect skin types prone to acne, rosacea, and hyperpigmentation. EltaMD UV Spray SPF 46: Oil-free with Octinoxate and Zinc Oxide. Very water-resistant sprays on white, quickly drying clear. Visit http://www.eltamd.com for more information. Episciences, Inc. integrates 20+ years of research into the development of a highly effective non-prescription, dermatological product line called Epionce. Epionce is a comprehensive and innovative skin wellness line designed to optimize the appearance and health of the skin by working at the core of the skin’s own protective and reparative systems. Milky Lotion Cleanser: Gently dissolves makeup, pollutants, bacteria, dirt particles, and other impurities. Balancing Toner: Completes the cleansing process while balancing your skin’s natural pH and infusing a boost of hydration. Purifying Toner: An active, non-stripping, soothing formulation that helps control excess oil production and microbes, while balancing your skin’s natural pH. Epionce Correct & Boost products help reduce imperfections, smooth uneven texture, and minimize signs of skin aging such as fine lines and wrinkles. Lite Lytic Tx: Gentle enough for infants and elderly skin, effectively helps eliminate skin imperfections and smooth uneven skin texture. Lytic TX: Highly effective in treating skin imperfections and improving the skin’s texture and tone. Lytic Plus TX: Maximum-strength lotion created specifically to treat oily, problem adult and teenage skin by eliminating blackheads, whiteheads, pustules and inflamed blemishes. MelanoLyte Tx: Helps address the complex process that leads to visible irregular pigmentation without causing damaging inflammation or harm to the skin barrier. Enriched Firming Mask: This intensely hydrating mask is designed to rapidly repair, strengthen and fortify the skin barrier, increasing elasticity and firmness. An effective tool specifically created for at-home use after any in-office treatment procedure. Skin Barrier Repair Kit: For use immediately following an in-office treatment procedure, such as chemical peels or microdermabrasion, to enhance the healing process. Intense Skin Rehab System: Two favorite Epionce products combine to make a powerful take-home regimen following moderate to deeper skin rejuvenation procedures. For more information on products and how to order, visit https://www.epionce.com/shop.